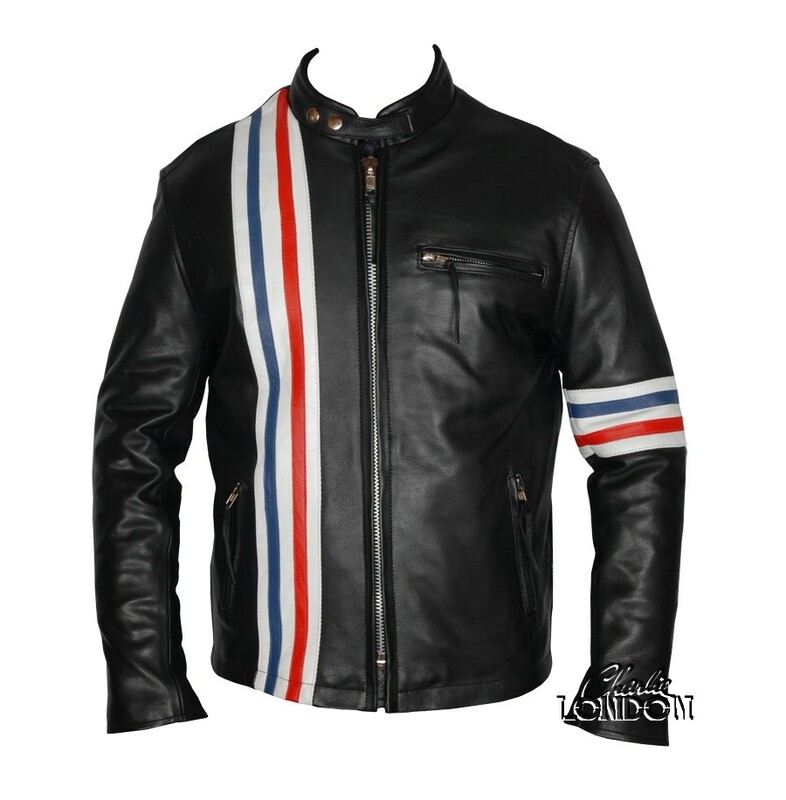 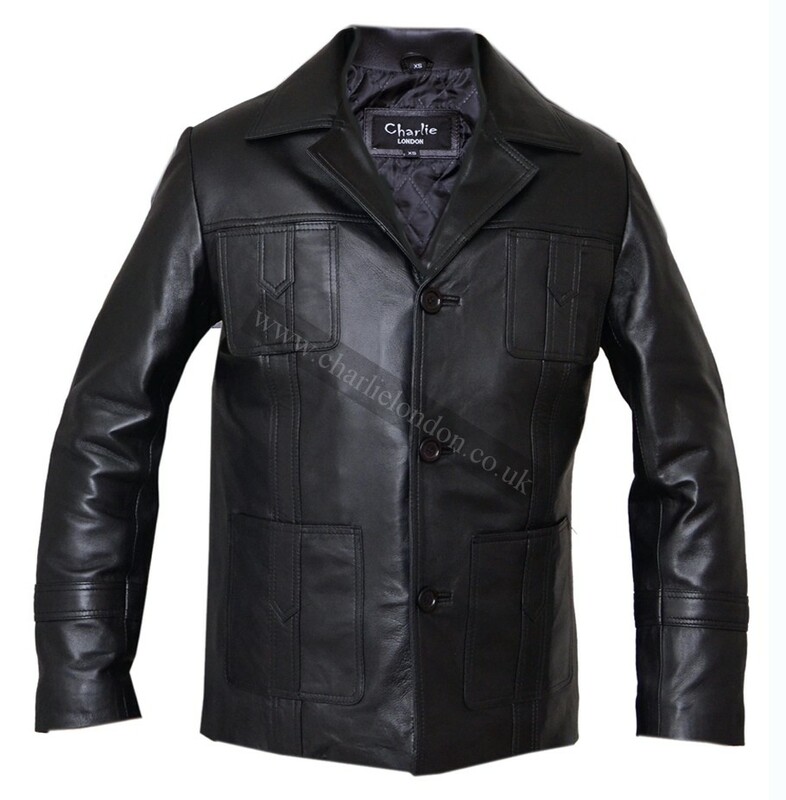 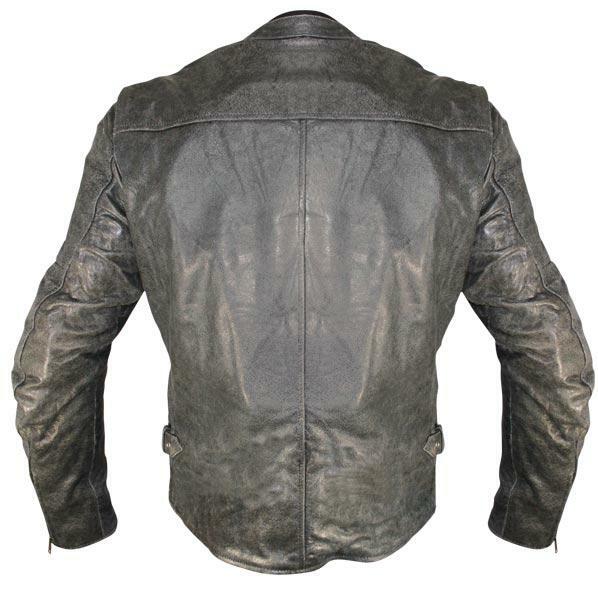 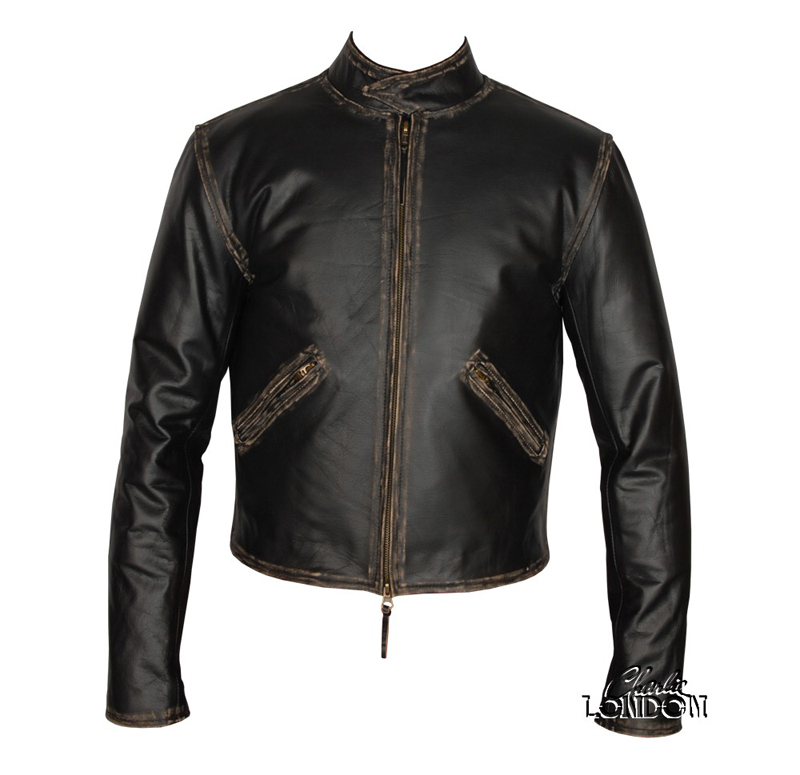 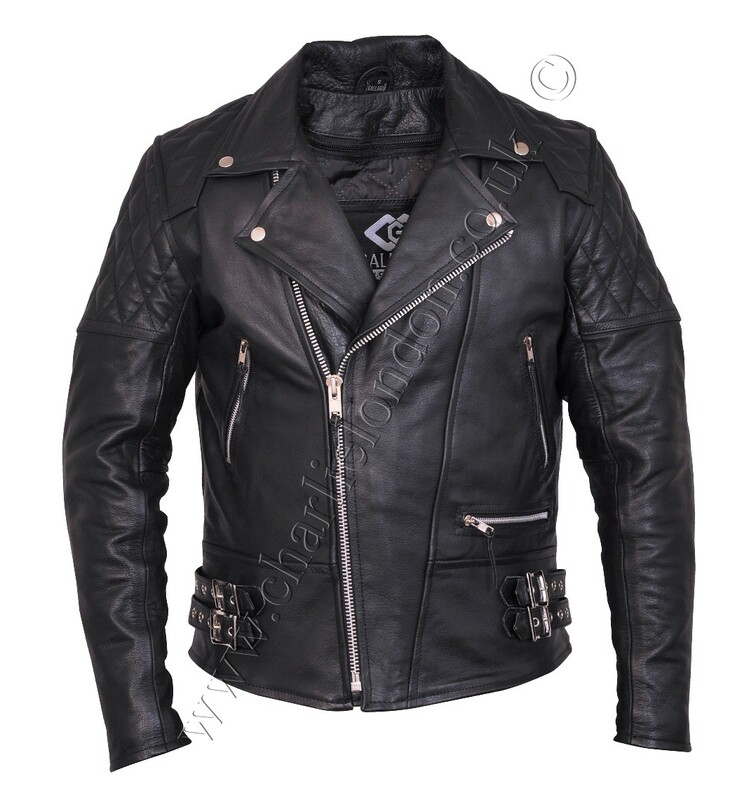 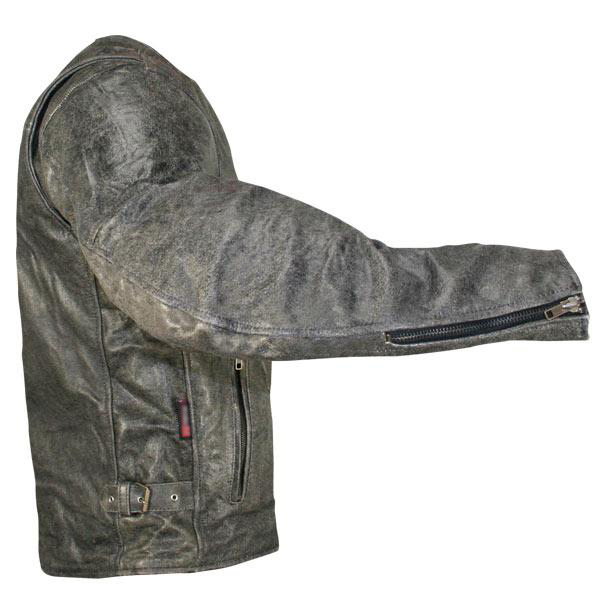 This motorcycle jacket is made of lightweight distressed cowhide leather that looks charred and well worn, with shades of brown and charcoal. 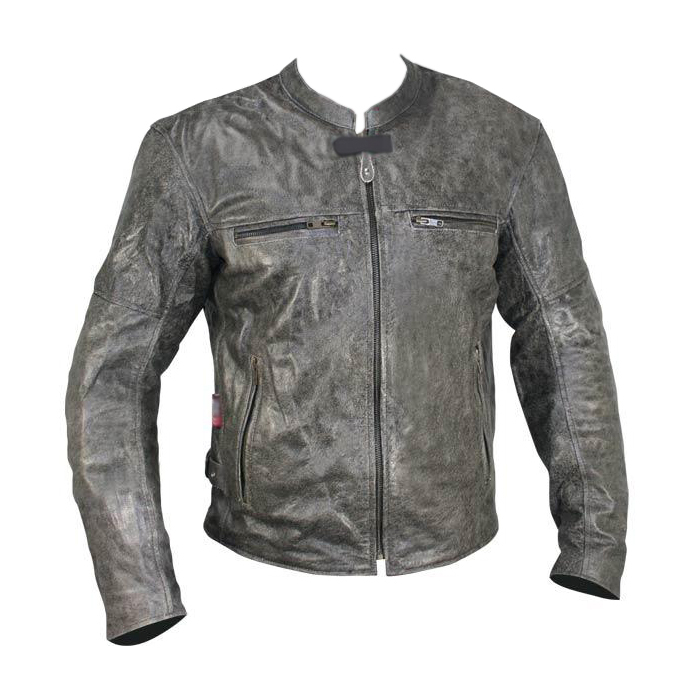 This motorcycle jacket is made of lightweight distressed cowhide leather that looks charred and well worn, with shades of brown and charcoal. 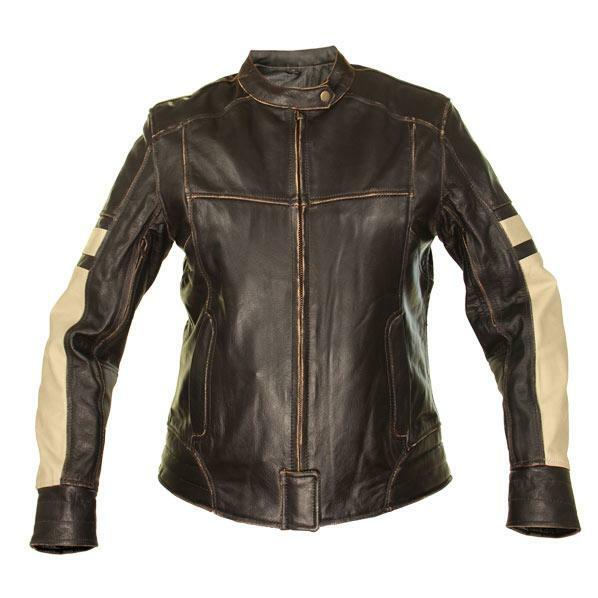 Jacket features a removable quilted lining for colder rides and is protected by Level-3 CE-approved armor making this the ultimate jacket for rider safety, style and comfort.